245-45 R17 RE71R's on Sport Edition Wheels, Might be picking up a set of 17" OZ SuperLeggera Wheels Wrapped in 255-40R17 that I saw on Facebook as back up tires and for running National Events. 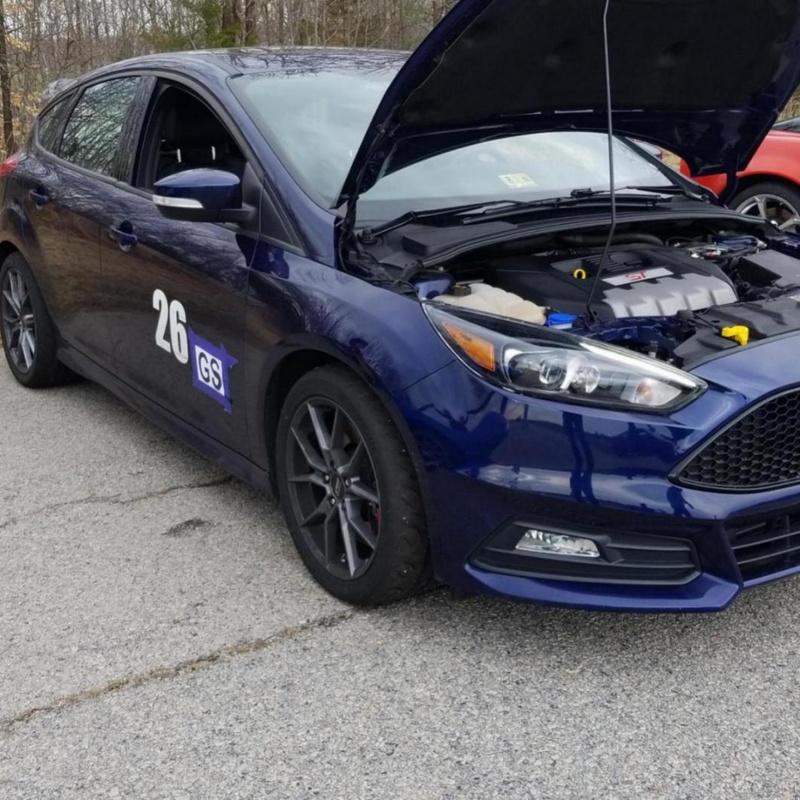 This weekend was my first two day event for the 2018 season and only my 4th event running my ST on RE71's. I ran terribly on Saturday and couldn't get a clean run to save my life and when I finally did it was snail slow compared to be what I should have been running. I kept getting behind in the slalom and spinning my car because of it. My Wife ran with me on Sunday and did very well for it being only her 4th ever autocross. I really think that if she keeps coming to events that she will eventually surpass me and be more competitive! She had one bad spin where she stalled the car and the course workers weren't paying attention and didn't throw a red flag when a car was coming at us so I got really anxious and yelled at her to hurry up which caused her to be overly cautious the rest of her runs. I need to work on being more calm with her when she's driving because she's not used to driving as much as me so it takes her a little longer to react in that situation. 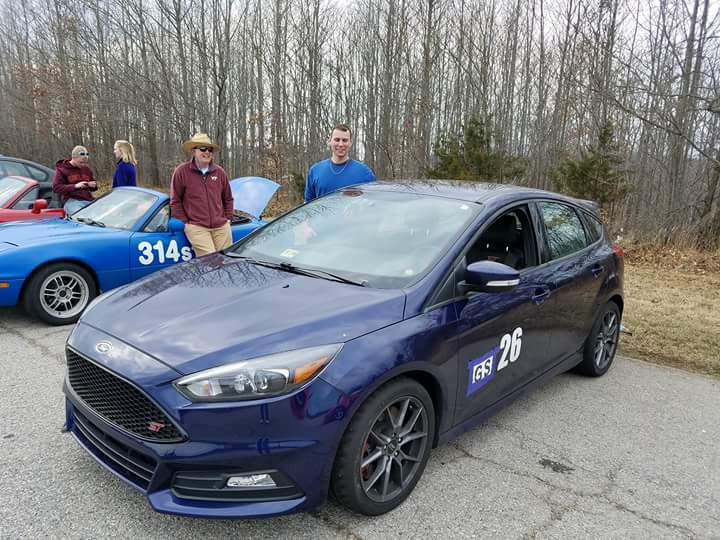 I'll be running at the Match Tour Event at Zmax in March and definitely need more seat time and practice with my ST since it has so much more power than my old '03 Focus and is much heavier. I should also have my Strano RSB before that event so I will need to get it installed and tuned hopefully before that event. Later today or tomorrow I'll add some videos and pictures from this weekend. Fingers crossed I can be really competitive this year! sailor, felixthecat and Arco-Zakus like this. I do well with her until we spin then I get all freaked out and it doesn't end well. I think she would have been really close to my best time had I not got her all worked up after the spin. She really does have the potential to surpass me if she keeps up with autocross. She can see the line she just doesn't completely trust the car or her skills to utilize that line. I'm naturally decent but don't as easily see and feel the line and also tend to go too aggressive thus causing myself to get behind the course. as she gets better I see no reason why she would be slower. She has actually helped me considerably because she sees & feels the line when shes riding with me. One of my wife's best runs. From today. Not super great results 4th out of 6 in GS 16th out 53 in PAX 31st in raw time. Keep trying to drive this like my old ZX3 and it's killing me. You set a high goal, G/L with the Season! And yep, not in a momentum car anymore - more power & braking where needed - and LESS than you hope to be able to use. IIRC, last year you tended to push Slaloms faster while going through, eventually getting behind the line & spinning out for the bad runs. FWIW - in Ski racing you want to be finishing the turn as you go by the back side of the pole (cone), otherwise you get behind and can't turn sharp enough for the next one. Similar early start should help, gives you more time for a better line than being forced to turn sharp AT the cone. I noticed in my video I posted I start out ahead of the slalom but ended behind by the last cone in the slalom. I need to start turning in sooner and keeping a better place through them. EDIT: The other issue pointed out to me by a friend is that I drive straight at the start cone of the slalom and then swerve to go around it. Looks like I'll be looking into another option for my RSB. I ordered from Strano Parts on 1/30 and was told it would be 4 weeks. 4 weeks goes by and I am told maybe next week. maybe next week rolls by and now I am being told maybe the beginning of April which is after the National Event at Zmax and is 8-9 weeks after I ordered. I would be ok waiting if I could get an actual time frame but since it keeps getting pushed back 2 weeks at a time (Feels Like the "Money Pit" movie) I am not sure I am willing to wait. I also noticed that it is no longer listed on their site as being available for purchase. I've heard nothing but great things about Strano so hopefully they can get it sorted out very soon.